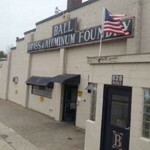 Ball Brass and Aluminum Foundry is an Auburn, Indiana landmark. Founded in 1940 by the Ball Family; Ball Brass has served the Midwest for more than 75 years with quality castings. In 1945 Ball Brass & Aluminum moved to 525 Hazel Street in Auburn, Indiana (home of the Auburn Cord Duesenburg). In 1978 Evans Industries acquired Ball Brass & Aluminum. From simple to complex, Ball Brass & Aluminum Foundry specializes in quality Leaded & Lead-free Brass, Bronze & Aluminum Castings. We continue to provide customers with quality casting services at very competitive pricing. We specialize in small to medium sized orders and pride ourselves in our personal approach.